Between the years 1980 and 2008, the number of Americans in prison quadrupled. Today, over 2 million adults are incarcerated in the United States, requiring significant security to keep prisoners confined and away from society. The success of a correctional facility—its ability to keep prisoners locked safely away—depends to a large degree on the efficacy of its locks. The locks used to keep prisoners in their cells, cell blocks, and within the prison itself are a big part of what keep those prisoners from reentering society until their time is served. Given their importance, it’s worth taking a moment to consider what locks are utilized in correctional settings, how they came to be used, and how they operate. And one important piece of that story is the Folger Adam key. In 1905, Folger Adam was founded in Lemont, Illinois as a steel company, manufacturing detention cells and other security equipment requiring metal fabrication. In 2004, they merged with 20th century rival Southern Steel to create the Southern Folger Detention Equipment Company. Today, the company produces security equipment for correctional facilities of all sizes throughout the United States. But what they are known for, and what are recognizable on sight, are their prison locks and keys. The inside of a prison cell has a recognizable archetype from movies and television: the steel bars casting a long shadow over a prisoner serving time. However, most prison doors today are no longer built this way. They are usually constructed from solid, thick metal, designed to be difficult to cut through or otherwise subvert, with a small window, and usually swing open and outward. With a need for a sturdy, reliable door, comes a need for a sturdy, reliable lock. This is where the famous Folger Adam keys come into play. Most prison locks are electromechanical, with a locking mechanism fitted inside the door, which can be opened and closed with the use of the lock cylinder, an electrical current, or a combination of the two. The electrical current helps to make lockdowns effective by making it possible to lock all doors at once, or to unlock individual doors without needing to unlock them by hand. 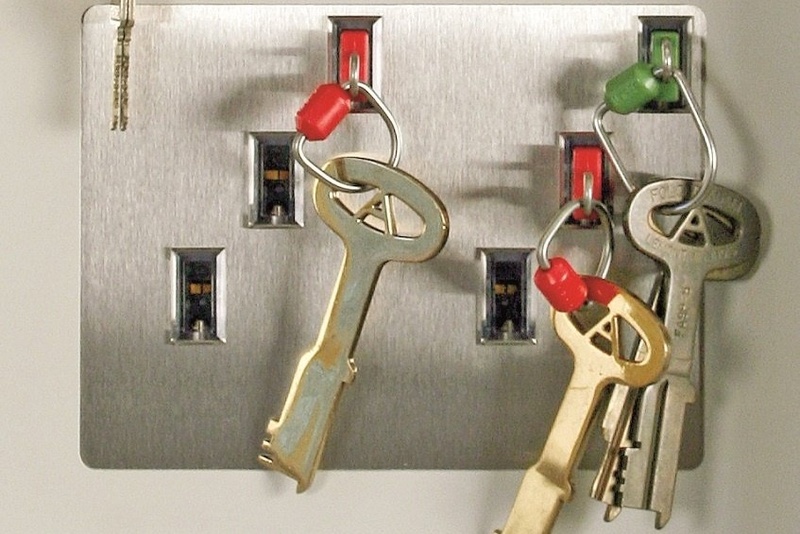 In a prison setting, these locks—and therefore the keys that operate them—are much thicker and larger than the keys used in an average setting. The need for much larger keys to operate prison locks comes from the specific security needs of a prison, where keeping people in is just as much of a concern as keeping people out. The size of the keys makes them difficult for prisoners to copy and difficult for them to hide copies on their person if they are made. In addition, the amount of torque required to utilize the key is much greater, making it more difficult for prisoners to utilize a stolen or copied key quickly during an escape attempt. For these reasons, the sturdy, immense metal Folger Adam keys were developed and are still in wide use today in American prisons—their own unique piece of Americana. The particular size and shape of the Folger Adam key has made it a recognizable and interesting part of security history, but it’s the quality over 100 years that has made it the American standard in keeping prisons secure.